Dumb People Town is as much an exploration as it is a celebration of dumb people doing dumb things (often in Florida). 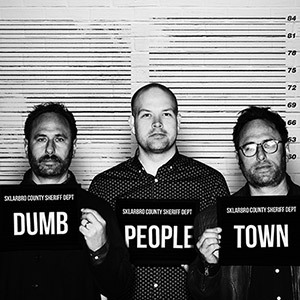 Incredible improviser and comedian Dan Van Kirk rustles up wild local news stories and riffs on their details with the Sklar Brothers, joined by a hilarious well-known or up-and-coming comedy guest. Wherever there’s a drunk, buck-naked man running around with a machete, the boys of Dumb People Town will be there. The Criminal Mischief comes fast and furious in Dumb People Town.